Macadam Dental is a modern dental office that believes in open communication, a commitment to quality, and providing excellent long term dental health. We are a family practice offering preventative and cosmetic dentistry welcoming patients of all ages. Dr. Kevin Morich and Dr. Jodi Morich strive to assist each patient in achieving and maintaining a healthy, beautiful smile. Established in the Water Tower building in John's Landing, our office features a modern, welcoming interior and original details like exposed beams and original fir floors. Established in the Water Tower Building in John’s Landing, our office features a modern, welcoming interior and original details like exposed beams and original fir floors. We believe in using the latest proven technologies to give patients the best care available. Drs. 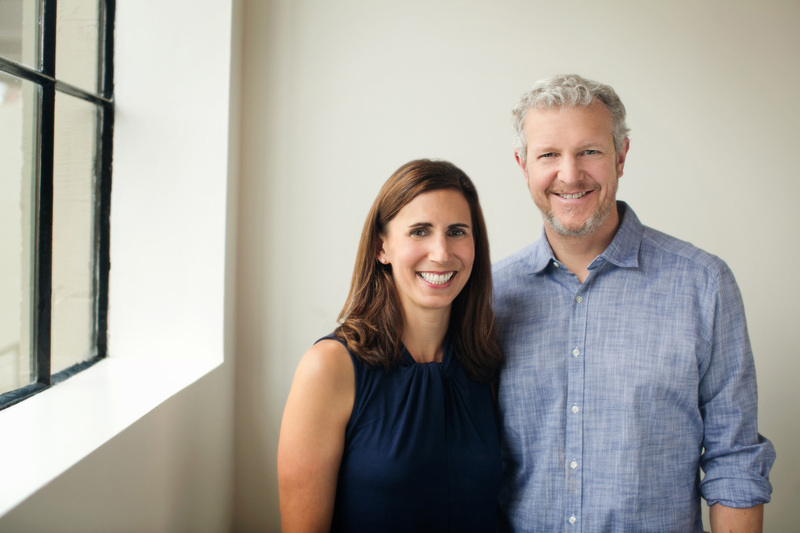 Kevin and Jodi Morich are a husband and wife team who met in dental school at OHSU. They established Macadam Dental in 2003 and have been caring for patients for over 16 years. Together they believe that visiting the dentist should be a calming experience. Kevin and Jodi specialize in creating a comforting environment for each patient, transparency in services, and using the latest technology. Their combined experience make it a perfect place for the entire family to receive comprehensive care. “Our first visit, and we love Macadam Dental already. Great with the kids!” – Hugh D.
“I was very pleased with the staff and service at my appointment, the hygienist and Dr. Morich were accommodating and made me feel very comfortable. Highly recommended.” – Andrea K.
“The Morich Family dentists are wonderful. They have helped me recover from a childhood of difficult dental experiences. Each time I go to them I am amazed by how kind and caring their treatment is.” – Leah C.
“If I ever move out of state, I will fly back to Oregon for dental appointments with Jodi and Kevin, that is just how awesome they are.” – Kari S.
“THIS IS THE BEST DENTAL CLINIC EVER! I have never felt more comfortable with a dentist and I like most people hate going to the dentist. The dentist had a thoughtful and long conversation with me, listening to my concerns before she started.” – Travis M.
“Both doctors and all the staff at Macadam are exceptional in their trade. They deliver a really amazing level of attention and have super amazing technology which makes things easy peasy and as comfortable as can be. I recommend this practice for children and adults. They are superb!!! !” – Alexis J. “My son and I have been here for almost 5 years, and since my first time I can actually say I look forward to my cleanings. Love, love, love each and every person I’ve encountered and would RECOMMEND everyone to go here, incredible really…” – Carey P.
“Mattie was very focused, warm and respectful – wonderful from a patient perspective! Dr. K. Morich was direct, engaging and unhurried. I appreciated his manner in conveying information and describing needed dental care. Thanks to both of them!” – Linda H.
Open Monday through Thursday, 7:30 a.m. – 5 p.m.
Macadam Dental is conveniently situated in SW Portland on the Macadam corridor. Our office is located in the Water Tower Building, at the southwest corner of Macadam and Boundary. There is free two hour visitor parking on the north and south sides of the building.